Dieser Mod korrigiert das EMP und Explosiv Icons vom Erlöser / This is a fix for the redeemer icons (explosive/emp). 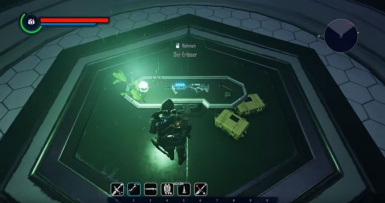 Mich hat es seit ich die Waffe in Elex zum ersten mal fand ziemlich gestört, dass der Erlöser vertauschte Icons für die Explosiv und Emp Variante hatte. Deswegen: Hier ist der Bugfix. It annoyed me that the redeemer had false, switched icons for the explosive and the emp shot. Thats why i fixed it with this little file.